Looking for Chorley skip hire? You’re in capable hands with the team of experts at Preston Skip Hire. 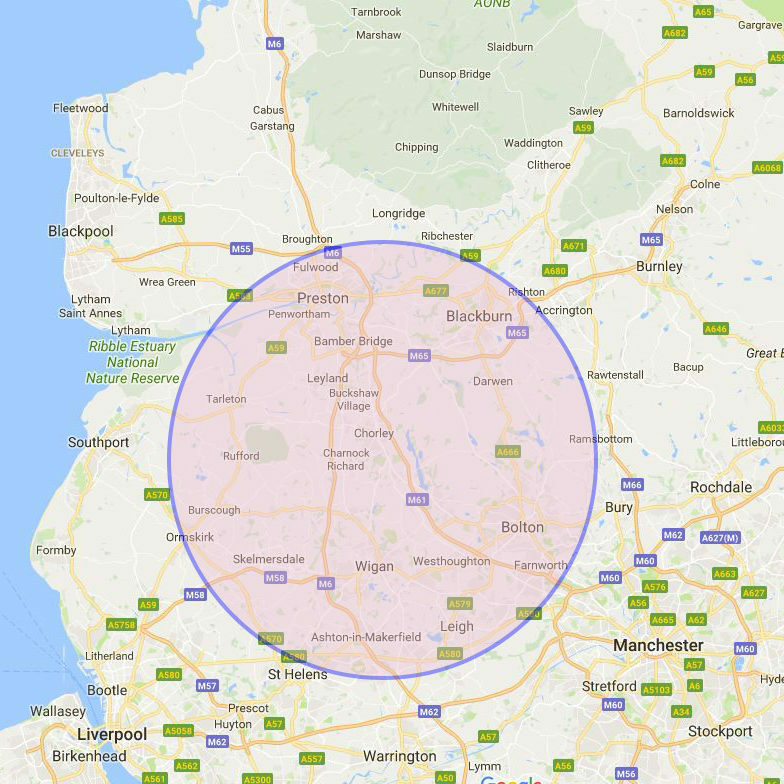 At Preston Skip Hire, we are proud to announce that we offer Chorley skip hire for commercial and domestic purposes- we aim to offer suitability for everyone! Our Chorley skip hire is available at fair prices, ensuring you receive exceptional value for money. With this said, we take the ground-up approach, starting from the bottom. At Preston Skips, we value your needs and wants; customer satisfaction is something that we regard to be of utmost importance, especially when you’re searching for skip hire Chorley. What’s the point in choosing a generic service when you can receive a personalised one, tailored to your individual requirements? We adopt this policy to both commercial and domestic skip hire Chorley, arranging a consultation to discuss the nature of your project. Within the consultation for Chorley skip hire, we will identify what size skip is required and how long the skip will be required for. Once we have distinguished the basics, we can obtain the necessary permits for your Chorley skip. To make things more convenient for you, we obtain the permits from the local authority on your behalf, saving you the time. Please note that skip permits are only required for skips that need to be stored on the road. If your skip is going on your driveway, you needn’t worry about obtaining a permit! After this, we will arrange a suitable time to deliver your skip to a location of your choice, using our fully-equipped fleets. Here at Preston Skips, we also provide free delivery which makes us even more desirable- so all that’s left to do is fill your skip! Choosing to overload a skip for Chorley skip hire will only work out expensive. Our Chorley skips include a maximum fill level which acts as an indicator of how much waste you can store in your skip, this makes it easier for you to adhere to skip hire regulations. Once your skip is full, contact us to arrange a time for it to be collected- this is all included in the cost of your skip hire Chorley! 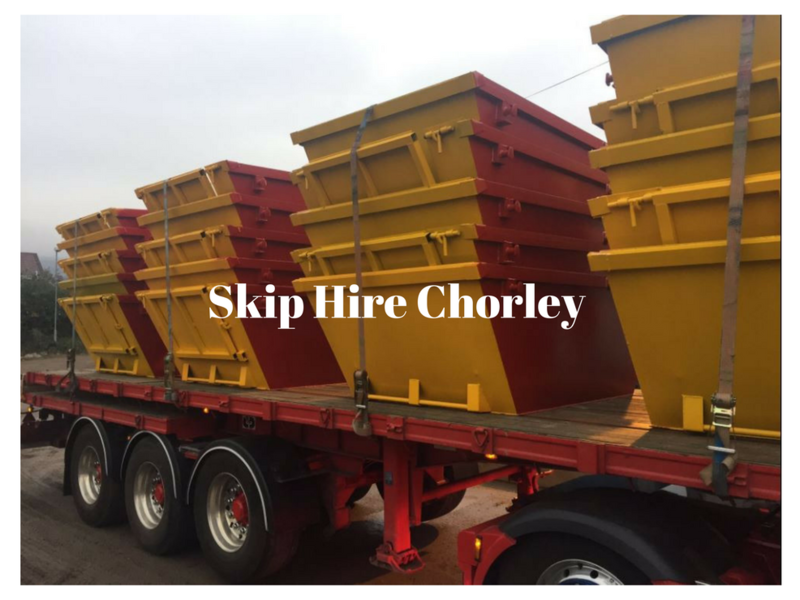 We aim to collect our Chorley skips as soon as possible, ensuring that they are not left cluttering up your premises for too long. For commercial skip hire Chorley, we can provide a reliable solution for disposing of the immense volumes of rubbish your industry generates. Why not reorder a skip for the same day that your full skip is collected? In doing so, you’ll have the opportunity to dispose of your waste without any restrictions or disruptions. Our dedicated professionals, here at Preston Skip Hire are always on hand to offer their expertise, so if our Chorley skip hire services are right for you, get in touch with us or fill in the free quotation form today!